Women for Refugee Women recently teamed up with Bread & Roses, a charity providing practical and emotional support to refugee women who want to work. Olivia Head, co-founder of Bread & Roses, writes about the considerable challenges facing refugees who want to work, and her experiences of supporting women through the process. “When I came to the UK I was strong and ready to work. Now, after waiting so long, I am weak and, sometimes, my spirit feels broken.” Those are the words of Judy*, one of the refugee women Bread & Roses worked with at Women for Refugee Women, but she is far from alone in feeling worn down by the system. Despite the Home Office’s claim that most asylum seekers will receive a decision on their application within six months of arriving in the UK, many of the women we support waited up to ten years before being granted refugee status. While they’re forced to wait, they receive just £5 a day to live on and are forbidden from taking up paid work. The damage done – both to the economy and to the individuals – by denying asylum seekers the right to work cannot be overstated. The social and financial isolation resulting from long-­term unemployment can put huge strain on the women’s mental wellbeing and severely knock their self-confidence. On top of this emotional damage, practical damage is being done too. While waiting to be granted the right to work, people seeking asylum are missing out on opportunities to gain skills and develop an understanding of the UK job market. It’s a cruel irony that by the time they are finally granted the right to work, many of the women I’ve met have lost the confidence they need to gain employment. The Refugee Integration and Employment Service (REIS), a national service designed to support people from refugee backgrounds into work, was dismantled in 2011. Since then a number of organisations, such as Transitions London and Breaking Barriers, have tried to make up some of the shortfall by providing much ­needed support to refugees seeking work. At Bread & Roses we think this support needs to be both practical and emotional, as good mental health is an essential part of being able to hold down a job. 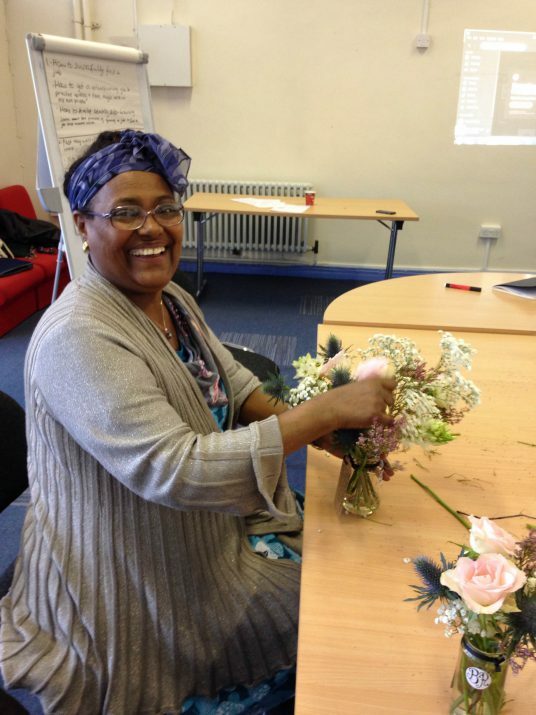 That’s why, as well as offering tailored employability advice, we also incorporate floristry into our programme. 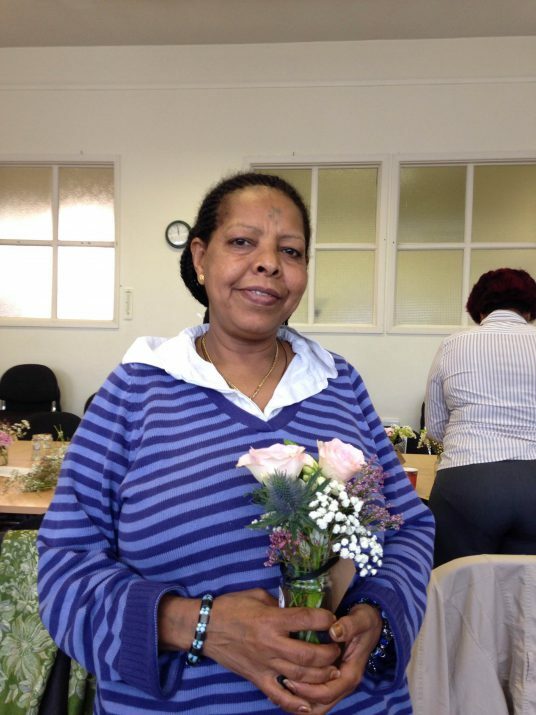 Throughout May and June Bread & Roses worked with a group of ten women from WRW’s Women Asylum Seekers Together (WAST) London network, running a series of workshops each delivered in two halves: the first providing support with preparing and applying for jobs, and the second giving the women a chance to get creative and try their hands at floristry. The floristry sessions are fun and relaxed, designed to open up a space for members of the group to talk about their feelings, or simply to take their minds off things. 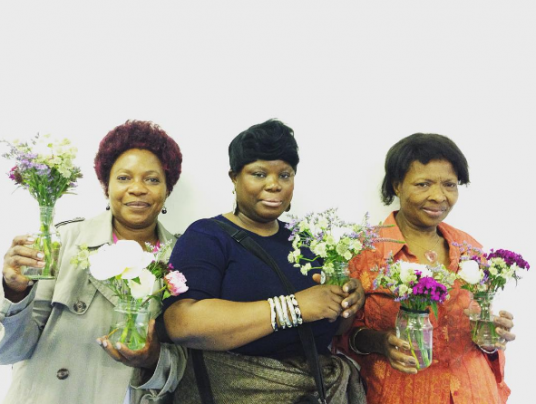 And the benefits of the floristry are more than just therapeutic; the flowers we make in workshops are then sold to local businesses, creating a fund for the women. This covers all those hidden costs of applying for jobs – travel costs for attending interviews, the price of applying for a DBS (disclosure and barring service) check, and so on. These added costs are significant when money is tight. Despite all the challenges facing the women in our group – not least the issue of childcare, lack of computer skills, and the difficulty of applying for jobs in a second language – they came to each workshop filled with optimism. By the end of the programme, one member of the group had been offered a sewing apprenticeship with an ethical fashion brand, and a further five were in the process of interviewing for jobs – proof of the determination and resilience of the women we worked with. Indeed, in spite of all the barriers standing in their way, many refugee women still want to work, to earn for their families and contribute to society. At Bread & Roses, our mission is to continue helping them to do so.